As San Francisco Zen Center prepares for the transition of all three of its abbatial seats in the next several weeks, many of the details have been set for�ceremonies to honor those leaving and those stepping into the roles. These transitions come with a bittersweet quality, considering the illness and recent death of our former central abbot combined with the ongoing health concerns of our City Center abiding abbess. In these times, we are fortunate to have capable leaders stepping in to ensure that the work of Zen Center continues. Eijun Linda Cutts, central abbess elect, has already been attending to many of the necessary duties of the central abbot since Myogen Steve St�cky’s Stepping Down Ceremony on December 15. 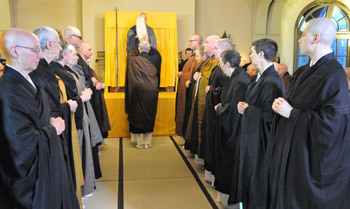 In order to devote her full time to this central role, Linda will conclude her term as abiding abbess at Green Dragon Temple in a Stepping Down Ceremony at 7:30 pm on March 1 at Green Gulch Zen Center, just after Kiku Christina Lehnherr concludes her term as abiding abbess at Beginner’s Mind Temple in a similar ceremony at 3 pm at City Center. 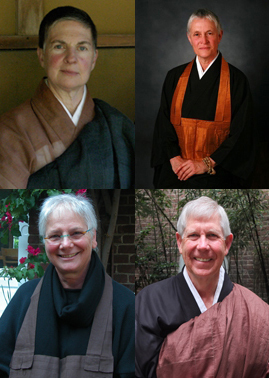 Both vacancies will be filled in a joint Mountain Seat Ceremony at City Center at 2:30 pm on March 2, when Furyu Nancy Schroeder will become abiding abbess at Green Dragon Temple and Rinso Ed Sattizahn will become abiding abbot at Beginner’s Mind Temple. 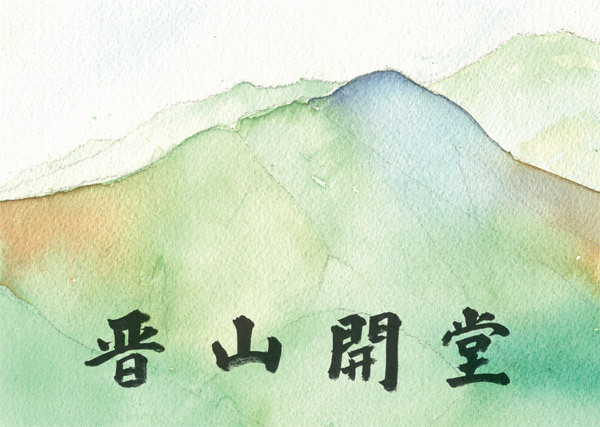 Although the limited seating in the Buddha Hall must be mostly reserved for invited guests, the Mountain Seat Ceremony will be live streamed on the web and on a screen in the City Center dining room so that the wider sangha can join in this particular ceremony and celebration. The live stream recording will be available shortly afterward on SFZC’s live stream channel for later viewing as well. Linda will be formally installed as the new central abbess in a small ceremony at City Center on Wednesday, February 5, at morning service time, thus for a short time holding both titles.